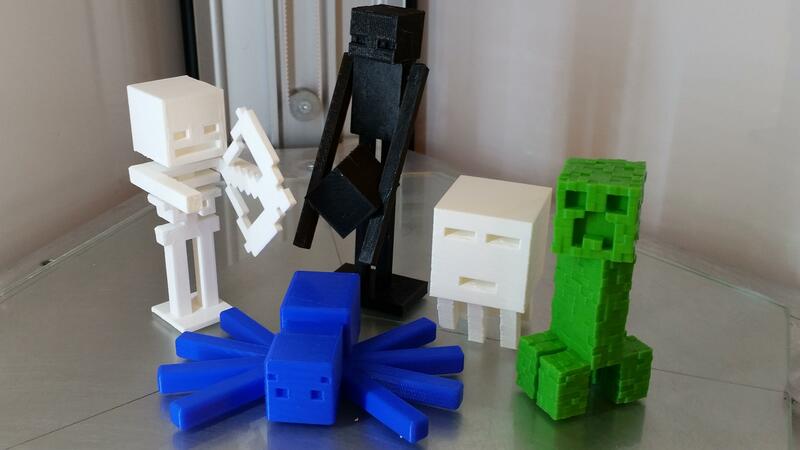 3D printed Minecraft mobs are very popular among dedicated players. Any Minecraft fan would be happy to have one in their collection. On the other hand, their square-shaped look makes it easy to design and print. File sharing websites are full of free samples to download and try out. PLA filament comes in many colors for FDM desktop printers (extrusion process). It is also beginner-friendly and deals well with overhangs under low temperature. Our skeleton model required support. But not to worry, most of slicer software add support automatically. The easiest were Spider and Ghast as they could be printed in one go. Enderman’s file included several pieces. When printing multiple objects, make sure that bed leveling is right and each piece sticks well to the build plate. 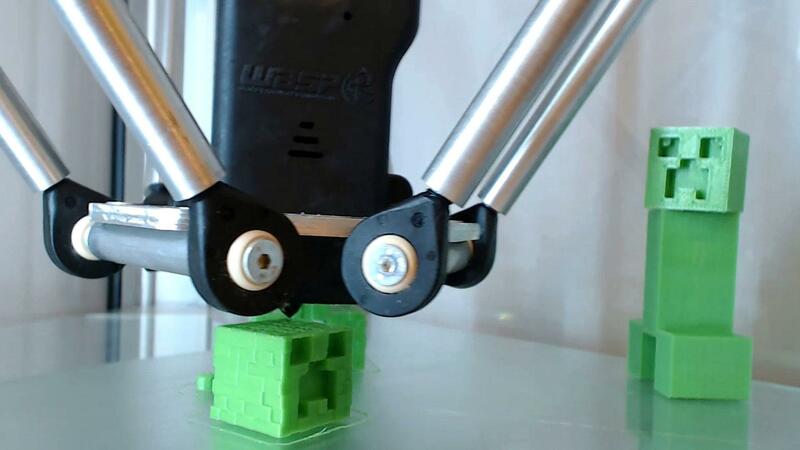 If you are worried that your kids are gaming too much, show them 3D printed Minecraft mobs. It is bound to get their attention. Designing your own mobs is not hard thanks to Tinkercad browser software. Once you get a hang of it, this may become quite addictive. This software is easy to use and creates 3D printable files. Then it will be your task to print their creation. This is a good way to make them learn new skills and opens new aspects to gaming.